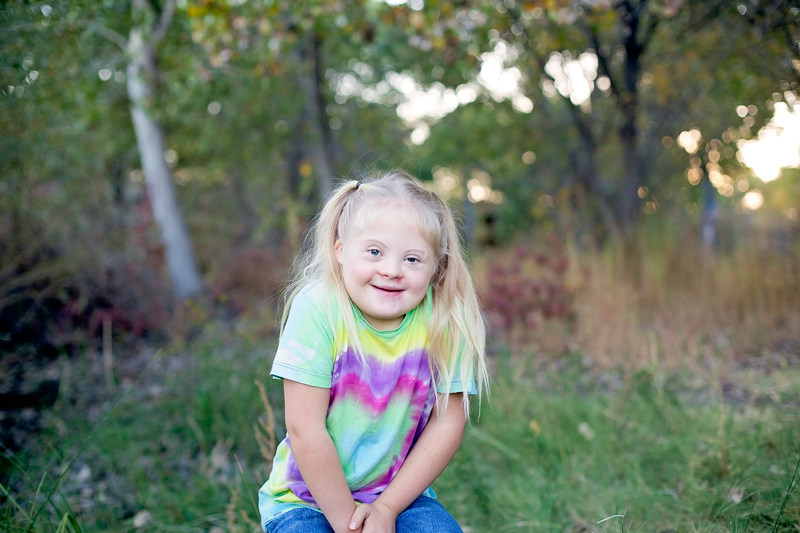 Last month was Down Syndrome Awareness month, and I learned a lot as one of my family members posted daily about the blessings and challenges of having their daughter, Sofia, in their family and how she has changed their lives. It’s not October anymore, but those posts touched me so much that I wanted to share Canda’s thoughts about her daughter since our guest post in October touched on children with disabilities as well. Sofia is the 4th of our 6 daughters. She is 8 years old and in the 2nd grade. I never envisioned that I would have a child like her but I am so glad that God did! She is a blessing to my life every day. When Sofia was born, we had no idea she was going to change our lives forever. While they were cleaning her up, a nurse asked Nathan, “Do you notice anything different about your baby?” He didn’t, she looked like a new baby. Nathan has told me he was awed by my reaction to Sofia’s diagnosis. She had been taken to NICU and I had been taken to a room (she was c-section). He walked in and told me he had to tell me something about Sofia. 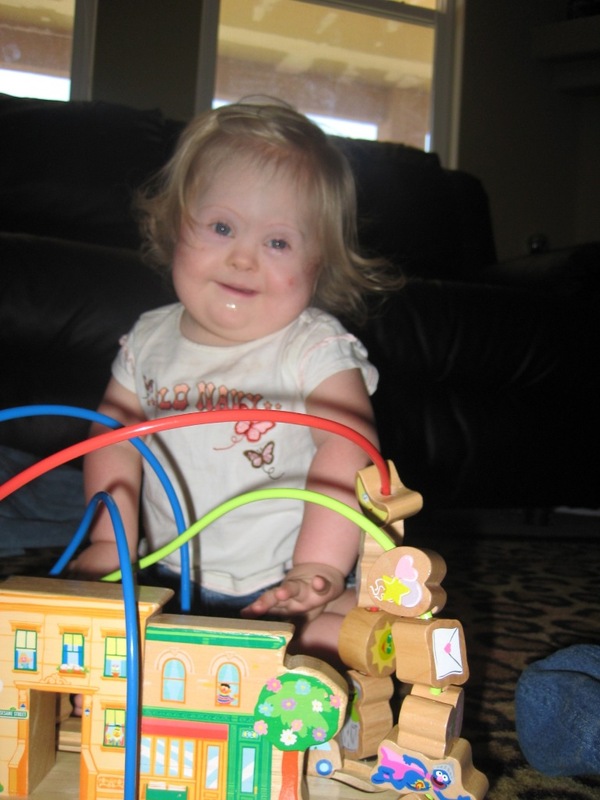 He said,” They think she has downs syndrome.” My immediate reply was, “Ok. So what do we do?” He says my oh crap moments came later. Today I want to share the best thing I have ever read about having a child born that wasn’t quite what you expected. The hospital included it in all the information they gave me about downs syndrome and I am so grateful they did. Having a sister like Sofia is like having a sister. Sofia as a sister is no different. Yes, she smacks you more often when she wants something, but it’s no different. I wouldn’t trade Sofia for a normal sister because her small difference is who she is. Sofia is an 8 year old who has gone through more than I probably will ever have to. The only thing I wish I could change is when I introduce myself to someone at the school and they go, “oh, you’re Sofia’s older sister.” I have a name, but sometimes it’s nice to know that people like Sofia. Sofia is special, and unlike anyone I will ever meet. In 2012, we were asked if Sofia could participate in a training video for our church. We were surprised and had a lot of questions. How did they know about Sofia? We belong to a worldwide church, why her? What would it require? Nathan was hesitant, but I have had feelings throughout Sofia’s life that she isn’t just mine; she is meant to be shared with others. I felt this was a time when God was asking me to share her with others. If I could, I would keep her home with me all the time, but that wouldn’t be helping her. 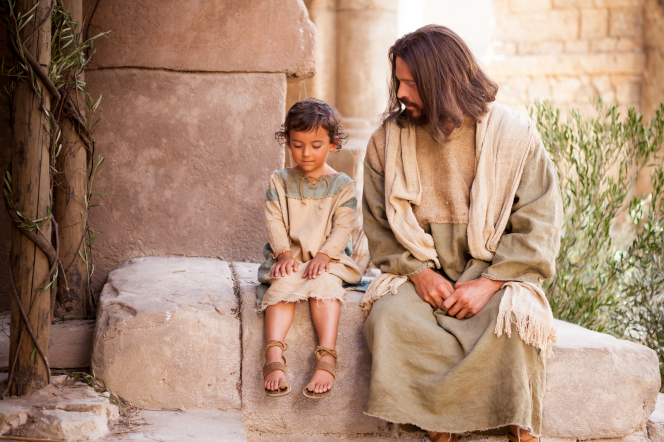 She is meant to be among people and show them Christ’s love. Here’s the finished video. I truly appreciate those that work with her and love her. I love, love, love that Holland story. I think life has a way of putting us in Holland more often than we’d like. Life doesn’t always go as planned, does it?. Sophia is a beautiful little girl. Thanks for sharing her story. I loved that story too. Canda is amazing with all she does and even though Sofia has had lots of medical issues to deal with, she has blessed their family way more than she has challenged them. She truly is just a shining example of Christ’s pure love.